Labeled as a white collar theft offense, embezzlement is codified under California Penal Code 503 making it a crime to fraudulently appropriate property which has been entrusted to someone. There are various kinds of embezzlement statutes, but all of them rest on the basic principal stated in PC 503. For instance, typically charged against a fiduciary, embezzlement can be applied to public officials misappropriating money, or using money or property outside the permissible scope of employment. It’s not uncommon for someone to be additionally charged with grand theft, receiving stolen property, petty theft, or burglary. The crime is a wobbler meaning the prosecutor holds discretion when electing to file misdemeanor of felony embezzlement charges. Early intervention of a Criminal Defense Attorney could mean a substantial difference. Moreover, an attorney can contact the filing prosecutor in an effort to convince the prosecutor to file reduced charges or drop the case completely. Whether a person is charged with a misdemeanor or felony will largely depends on the amount. If the amount embezzled if below $950, then the prosecutor will file misdemeanor charges. However, if the amount exceeds $950, then the crime becomes a wobbler punishable as a felony or misdemeanor. WHAT IS THE GOVERNMENT REQUIRED TO PROVE WHEN ACCUSED OF EMBEZZLEMENT? The defendant intended to permanently deprive the owner or removed the property from the owner for an extended period of time where the owner was deprived of a major portion of value or enjoyment of the property. PC 503 is ordinarily punishable in the same manner as other theft crimes, however the court will consider the crimes planning, sophistication, complexity, and amount taken as crucial factors when ruling on the appropriate punishment. 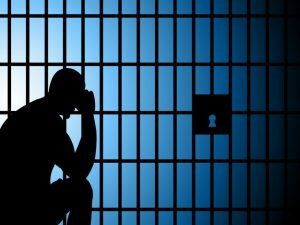 A misdemeanor conviction is punishable in the county jail by up to one (1) year whereas a felony conviction is punishable for up to three (3) years in the county jail. The judge will additionally impose a restitution amount to reimburse the alleged victim for the amount of loss. 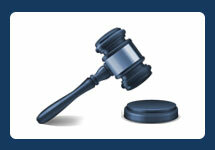 Aggravating sentencing enhancements may apply if the property amount exceeds $100,000. Consequently, this would expose someone to a mandatory state prison sentence. Lastly, due to embezzlement being a crime of moral turpitude, there could be adverse effects on someone holding a state license or seeking U.S. Citizenship. Intent: All theft crimes require a person to act with the specific intent to steal. Therefore, acts of misfortune, accident, or mistake will serve as a viable defense in negating the government’s specific intent claims. The law will not punish someone who acted without any designed purpose to break the law. Claim of Right: If someone believe in good-faith that they were entitled to the money, even if their belief was mistaken or unreasonable, then the good-faith claim of right can be asserted as an affirmative defense. To succeed on this defense, it must be established that the defendant (1) openly took the money; and (2) believed in good faith that they had a right to the specific property. Amount: As noted above, the amount of property must exceed $950 to sustain felony charges. If the amount is questionable, a defense actuary or forensic account may be able to find holes in the government’s case that would suggest the amount is below $950 making the crime only a misdemeanor. False Accusations: More commonly is someone being falsely accused by another partner or employer. There could be an unlimited number of reasons why someone could claim a crime occurred. For instance, motivations could include: to avoid sexual harassment claims, employment suits, revenge, or to succeed on child custody in the event the alleged crime arose out of a community property shared business. There is no question that when someone needs an experienced embezzlement attorney when facing such accusations. A substantial part of our practice includes representing clients accused of all sorts of theft offenses including PC 503. Our office can employ experts, investigators, and forensic accounts to examine the validity of the government’s case. We represent clients accused of theft crimes in Orange County, Los Angeles, San Bernardino, Ventura, and Riverside counties. 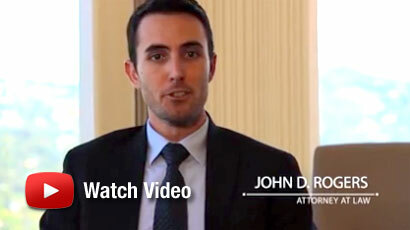 If you’ve been arrested, charged, or under investigation for embezzlement, contact an experienced Orange County Criminal Defense Lawyer at the Law Offices of John D. Rogers for a free confidential consultation.